Allmän beskrivning : For sale at Gateway Classic Cars in our St. Louis showroom is one of the most beautiful Coupe DeVilles from the era. The color scheme will drop jaws and weaken knees. Painted in Neptune Aqua over a stunning white leather interior and a set of white walls to finish things off. We've all seen a lot of these over the years but none have grabbed our attention like this one. Miles are original at 48,893 and very little to no wear shows on this DeVille. Power comes from the 6.0 V8 which may not be a horsepower monster, but offers plenty of low end grunt, which is exactly what this luxury full size needs. In 1981, this was the cream of the crop. 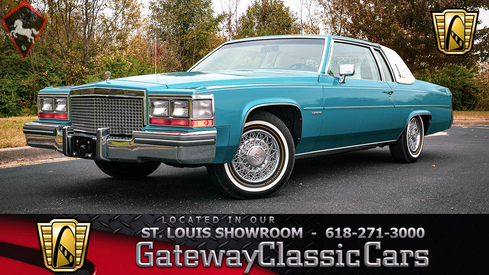 Sorry Lincoln, but Cadillac got you on this one, especially with this amazing color scheme. 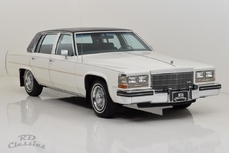 Power equipment is what one would expect from Cadillac; Power steering, Power brakes, Power windows, Power seats, Power mirrors, Cruise control, Air Conditioning, an AM/FM radio with 8 track player and leather, leather and more leather. 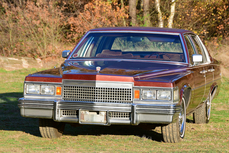 The leather seats from Cadillac were the ones that you can sit in all day long. That kind of feeling you get when you lay down on your memory foam mattress. Yes, and quite adjustable too. 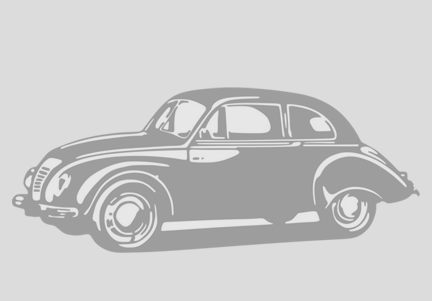 One common area of trouble is the rubber filling in the gaps near the front and rear bumpers. Over time they become brittle and literally fall apart. In place of the old are brand new ones that have been color matched by computer and look brand new. This Cadillac DeVille will not disappoint. Call our St. Louis showroom for more information or stop by for a viewing. 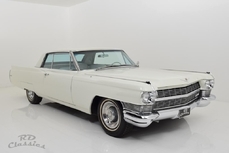 TO view 100+ HD photos and video, visit http://www.GatewayClassicCars.com. 1981 Cadillac De Ville 6.0L V8 F is listed till salu on ClassicDigest in OFallon by Gateway Classic Cars - St. Louis for $16995.